Football Manager Touch 2018 delivers the thrill of a league title without the extended pre-match build up and glare of the media, allowing you to focus on the core parts – tactics and transfers. Touch offers a much speedier route to the digital dugout enabling managers to whizz through the seasons, aided by the ‘Instant Result’ match simulation feature. You’ll get the full depth and power of Football Manager’s world renowned database with up-to-date player data on all the world’s best footballers, enabling you to sink your teeth into the transfer market. All the big teams from around the world are included and there’s over 130 leagues to try your luck in. The tactics creator is slick and refreshed for this season allowing you to create your footballing vision and watch it come to life on the acclaimed 3D engine, which benefits from a brand new graphics engine and sleek match interface for the 2018 season. 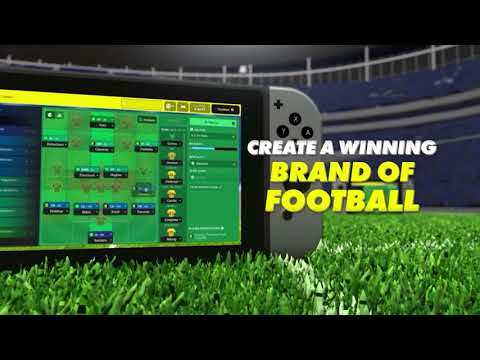 Football Manager Touch 2018 was released on Switch 377d ago in the US and the UK. Notify me when Football Manager Touch 2018 is available.